so here is my first go at making some steampunk stuff, bought it for £3 off ebay, started black and boring, ainted with copper modleing paint then gold gilding wax. That's pretty cool. 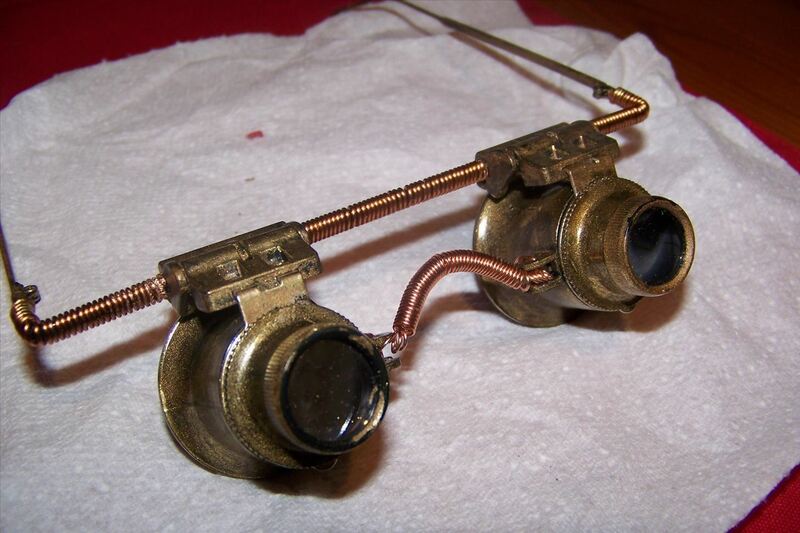 It's an original take on steampunk goggles.